Wells may flow naturally when they are first completed, but at some point a pump will be added to aid in production. That pump can be of a few different types, but the most common variety is going to be mechanical lift. 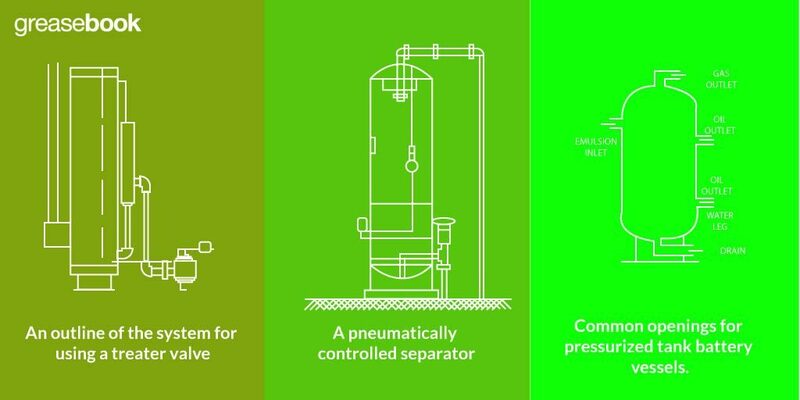 The majority of wells produce small amounts and use mechanical lift as an economical and reliable way to increase production. There are three general parts to a mechanical lift: the prime mover at the wellhead, the pump downhole, and the rod string that connects the two. As the name implies, this component of the pump consists of a long string of sucker rods that are threaded together. The prime mover at the wellhead moves up and down and the rod string runs through the tubing, communicating that motion to the pump and producing oil. Rod strings have to be matched to the pump they’re powering and the depth of the well. It’s important to remember that the rods themselves can be heavy, making the total weight of the rod string high. In addition to that, the rod string will undergo a strain while the pump is in operation. The string may actually stretch as it lifts fluid, and then compressed as the string is forced back down. To handle that weight and strain, rods of several different sizes and strengths may be used. Choosing the correct rod arrangement involves balancing the weight of the rod against its strength. 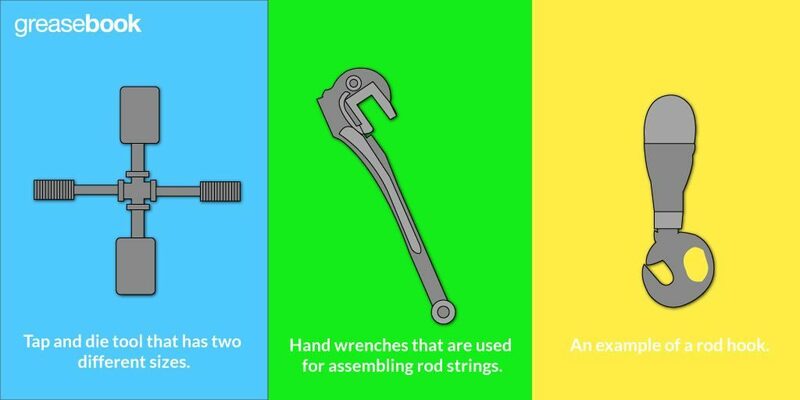 Understanding how rods are rated is an essential part of assembling a rod string. Rods are rated using a system developed by the American Petroleum Institute (API). This system uses letters to indicate a general range of tensile strength. 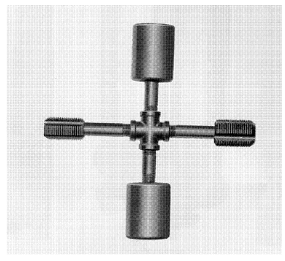 The different ratings have specific strength ranges, but in general rods rated C are for light to medium strength uses and D rated rods are for medium to heavy uses. 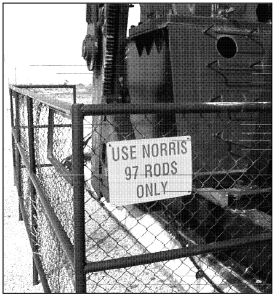 Other rods may have similar strength ranges, but have other advantages. For example, K rods are made with a nickel alloy, and so may have a greater corrosion resistance. For many shallow wells, anything 2,000 feet deep or less, equipment rated for downhole use will be strong enough. The letter can be used in the records to indicate the varying strength of each rod in the string. These letters are also stamped on the rod itself, on the flat side of the pin. Rods will wear out, eventually, and need to be replaced. Rod strings will begin to break and other problems will become more common as the rod string reaches the end of its useful life. When the string is pulled, there may be many lengths of rod that are still intact and may be used again. It’s important to note that these rods will most likely no longer meet the standards for the strength rating stamped on them. These rods may be downgraded one step in rating and used elsewhere. For example, what was a Class D rod when it was manufactured will become a Class C rod. Obviously, rods that are damaged or otherwise not fit for service shouldn’t be downgraded and reused. The records should show any downgrade, and generally the recorded strength rating should be trusted over the rating stamped on the rod. Figure 2. An example of a tubing and rod record. A record like this should be maintained for every well. The size of a rod is also important. As the rod string must travel up and down the inside of the tubing string, it’s important that the correct diameter of rod is chosen. Another system is used to denote the rod’s diameter. This system gives each rod a number, which lists the diameter in ⅛ inch increments. For example, a rod that is ½ inch in diameter contains 4 ⅛ inch segments, so it is a #4 rod. A #5 rod is ⅝ inch in diameter, a #6 rod is 6/8 inch or ¾, and so forth. Rods generally range from a #4 (½ inch diameter) to a #10 (10/8 inches, or 1 ¼ inch diameter). Figure 3. This sign lists the rod quality to be used with at this well. A rod string may not all be of a single uniform size. In some cases, the string will use larger rods with a higher strength near the top of the string, where the most weight is being supported. Further down the rod string, however, a narrower rod may be acceptable. The rods themselves aren’t tapered; instead, rods of different diameters are used, with different sizes of rods being connected with a changeover coupling. Usually, only 2 or 3 sizes of rod will be used. Each changeover step will only change the diameter by 1 step. So, a #5 rod could be connected to a #4 rod or #6 rod, but not a #7. Using that system, it’s possible to list the diameters of all the rods in a string with just a couple of numbers. A rod string that’s listed as 5, for example, will use all ⅝ inch rods. A string that’s listed as 75 will use #7 rods, #5 rods, and also #6 rods between them. A string that’s listed as 107 will have #10 rods, as well as #9, #8, and #7 rods. Tapered strings offer a few advantages. The total weight of the string is reduced, and a smaller pumping unit can also be used. 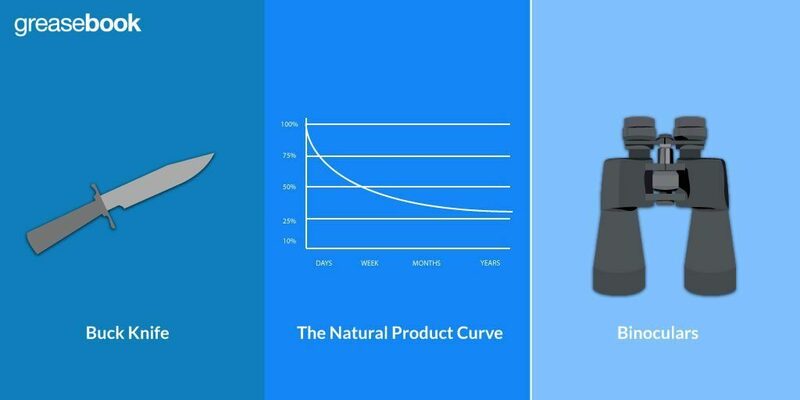 Less horsepower is needed for a tapered string, as well. Tapered strings are more complex to put together, and it’s a good idea to get a qualified expert to consult when considering one. In the past, fiberglass wasn’t considered a good material for sucker rods. However, the manufacture and quality of rods made from that material has greatly improved. A rod string using fiberglass does require a few steel rods. These are at the bottom of the string, connecting it to the pump. The steel rods help prevent the compression of the fiberglass rods. The travel length of the pump will be increased with fiberglass, while the overall weight of the string will decrease. Fiberglass rods generally only weigh about ⅓ of their steel equivalents. That decrease in weight means that a smaller pump or gearbox can be used. Fiberglass rods are also generally somewhat longer than steel rods, measuring about 35 ft long. That means that when you do pull the rod string, it will only be possible to pull them in doubles, rather than triples as is usually possible with steel rods. Fiberglass rods can generally be handled in the same way as steel rods, though there are some special considerations. The manufacturer or supplier of the rods will usually have instructions that detail how the rods should be handled and maintained. As this is a material that can be damaged by exposure to the sun, fiberglass rods should always be stored in a warehouse or otherwise protected from direct sunlight. Fiberglass that is left in the sun may suffer from fiber bloom. It’s made from thin strands of glass spun into fiber, which are embedded in an epoxy. That epoxy can be broken down by sunlight, leading to the exposure of the glass fibers in a white ‘rash’, which is known as fiber bloom. Figure 4. Tap and die tool that has two different sizes. As with all rods, fiberglass rods should be handled carefully. They can be more fragile than steel rods in some ways. When performing service that requires pulling the rod string, the rods should always be tailed in, and never thrown or dragged on the ground. Any damage, even what may seem like a minor nick, is permanent and can potentially cause the rod to be taken out of service. Occasionally these rods are cross threaded; this can be fixed by using a tap and die and then lubricating the threads. It should be possible to screw the join back together correctly after that fix. While rod strings are primarily composed of rods threaded together, there are a few other components and specific types of rods that may be included, and which are important to note. When running a rod string into the well, for example, each part should be recorded in the order in which it went down. The first thing into the well, making it the bottom of the rod string, is the gas anchor. 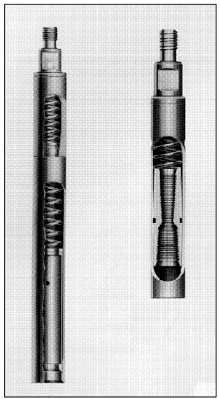 A gas anchor is similar to a downhole separator, in that it controls the amount of gas that is allowed into the tubing string. It’s usually mounted below the downhole pump. 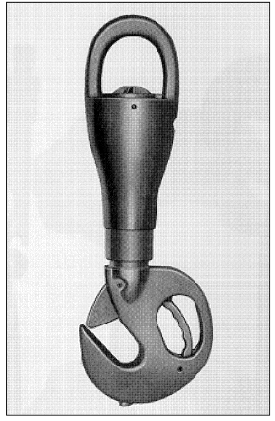 Many people recommend that a gas anchor be large enough to hold 1 ½ the volume capacity of the pump. 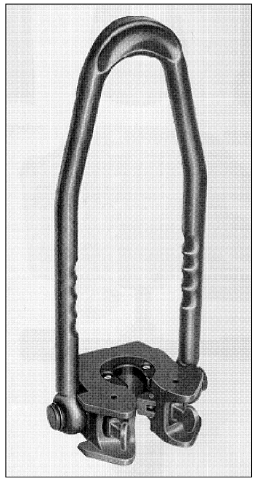 The size of the gas anchor will usually depend on the bottom hole space, however, with some smaller gas anchors being only six inches long. Next down the well is the downhole pump. It’s possible that you’ll be running a rod string back into the well after replacing a worn out pump. It’s important to be aware that the new pump may result in a slightly different rod string length. The new pump and old pump should be laid out next to each other and the no-go sections lined up. If the new pump is longer, the polished rod at the top of the string will need to be adjusted to make up the difference. If the difference is great enough, a pony rod may need to be added to or subtracted from the string. The new pump length should be noted, and a full description of the pump added to the records. A pony rod is a shorter than the standard rod length. Custom lengths are available, but they most often come in 2 foot increments from 2 to 12 feet long. Pony rods may need to be fitted between the pump and the rod string. They may also need to be installed between the rod string and the polished rod at the top of the string. The rods themselves will obviously make up the majority of the rod string. When the string is run into the well, the number of rods, their rating, and their size should be recorded. It’s important to record the rods in the order they went into the well. This is particularly important for tapered rod strings, where the precise count of each type of rod can be critical. While a length for each rod should be recorded, the rods may be stretched several feet longer after some use. At the very top of the rod string is the polished rod, which allows a good seal at the wellhead. A lift pony rod may be used, though if it is not, a coupling should be used to protect the threads on the end of the polished rod. Figure 5. An example of different sized polished rod threading. 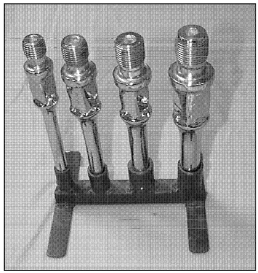 Shown from right to left are 1 inch rod, ⅞, ¾, and ⅝ inch rods. A polished rod liner may also sometimes be used. It is placed over the polished rod, but needs to be at least 3 ft longer than the stroke length. The additional length keeps the liner from being pulled out of the stuffing box with each stroke, and also allows you to add a lubricator. It’s also usually a good idea to leave extra length to the liner in case the stroke length is changed. 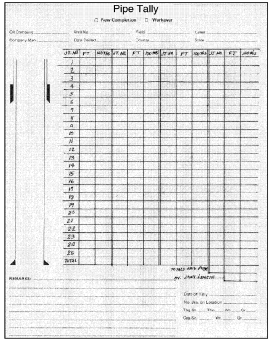 The record of the rod string should be sent to the company’s office, but before it’s sent a copy should be made with the rods listed in a reverse order. In other words, the rods are listed starting at the top and going down, which is handy the next time the rod string has to be pulled. Once the rod string is put back into service, it should be monitored closely. Tension on packing may need to be fine tuned, and the wellhead and lines should be checked for leaks. The battery and lines should also be inspected and made ready to handle the new production. Pulling and servicing rod strings may be the job of a specialist, but for many companies it’s a duty assigned to the pumper assisted by a crew. When pulling rod strings, it’s important to lay them out and handle them so that they can be run back into the well in correct order. Rods should also be handled carefully to prevent them from being damaged. A rod elevator can be very helpful. An example of one can be seen in Figure 6. Rod elevators can be used to lift rods when the box is allowed to break on either side (meaning that either end of the rod may come unscrewed). A rod elevator can be used to lift the rods in that case. When making up rods, the correct procedures should be used to make sure the rods are not damaged. 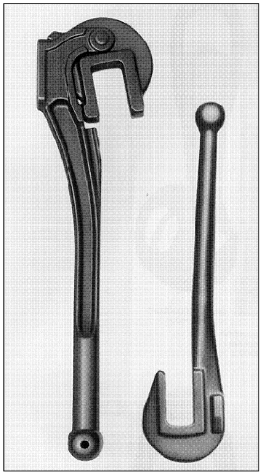 Special tools will need to be used, such as the special hand wrenches shown in Figure 7. Both over tightening and under tightening a rod can lead to damage. Makeup charts are available and should be consulted. Some companies prefer to use power rod tongs, which are powered tools that can be used to apply torque to rod string components. These are usually pneumatic or hydraulically powered. As mentioned above, rods should always be handled carefully so that they’re not damaged. The downhole pump should also be handled carefully, and it may be necessary to use a support bridle to move it safely. Rods that are excessively corroded may break, parting either when the pump is in operation or when it’s being pulled. Most breaks occur on the shank of the rod, but you may find them anywhere. 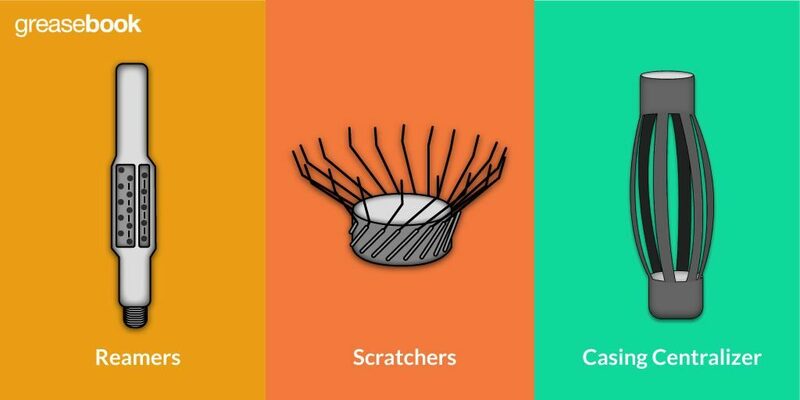 The process of regaining control of a parted rod string is called ‘fishing’ the string. To fish a parted string, an additional rod and a tool used to catch the loose rod string are added. The string is then run back into the well, and the loose string is caught. The fishing tool should be matched to the rod box being used, as several different types are in use. If the pump unseats when the parted string is caught, the servicing unit brake should be applied to prevent jarring. Too much jarring may trigger the overshot release, dropping the fished rods and potentially parting the tubing. Pulling tubing while a rod string is loose is difficult and can be time consuming. The tubing might be stripped over the dropped string, leaving it loose in the casing. Rod strings may have to be pulled when pump components downhole wear out. Pumps will fail on a fairly predictable schedule, and it’s possible to roughly estimate when a pump will need to be replaced. Studying the records can also give clues as to why pumps failed, allowing you to avoid or mitigate those problems. When a pump is serviced, it will often be sent off to a repair shop. The shop should know how to repair the specific pump and use the correct parts. Incorrect repairs can have an impact on production, and incorrect parts can shorten the pump’s life. Pumps may sometimes get stuck down the well. It’s rare that this happens, but occasionally rods bind or a pump will catch in the tubing. While uncommon, this can be a serious problem. New rods of the same type will all be the same length; when hung from the derrick, the ends will line up. Rods will stretch as they are used, though, and trying to pull a stuck pump from the well can stretch them further. If pulled too far, the rods don’t rebound when pulled; that stretch has become permanent. 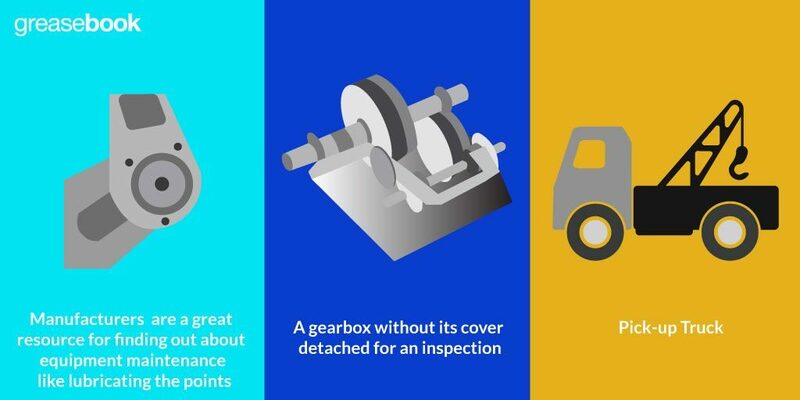 At that point, the rods may no longer be fit for service, so it’s important that the rods not be pulled beyond the weight indicator’s recommended maximum. Rather than pulling the pump up with the rod string and potentially damaging it, another option is to begin a stripping operation. That’s an expensive alternative, however. In operations where stuck pumps are common, there may be some additional options.